Wesla Wong has traded a microphone for a pair of skis. 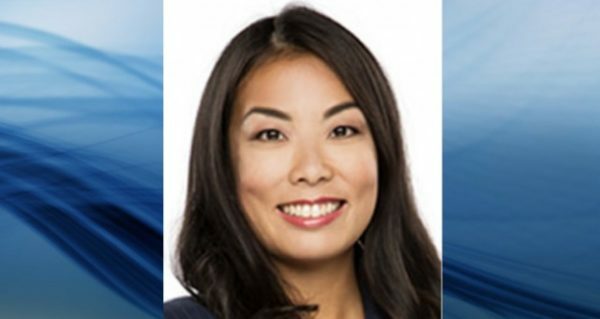 SilverStar Mountain Resort has announced Wong has joined the Star and will be building sales relationships in Kelowna, representing SilverStar at various Okanagan events and planning FAM tours. Wong was an on-air meteorologist on Global Television before switching to the Star. A release from SilverStar said, “Now she combines her weather knowledge with her media experience to make sure you will always know when your next powder day will be. According to her Twitter feed, she left due to bullying and her husband, a (now former) meteorologist with Global, also resigned. They are now working together. There is a lot of toxicity here regarding people’s voices, hair and “mannequin” appearances that are quite frankly unproductive and negative to a real discussion of the media landscape’s demise. Dialogue on the content we are presented with is important for the future of media. The personal attacks take away from the real issues and discredit us all. We can do better. Do you live in the Okanagan ? Well, I do, and Wesla Wong was a very decent hire and a good replacement for the retiring Mike Roberts. perhaps the most likeable on air personality in the Okanagan of all time. However, when the Shaw head office decided to cut back the Global Okanagan evening news with talent from Toronto, that was a slap in the face to Okanagan residents. For over 50 years, this town has had an evening tv news show, but no longer. I think that CHBC has been going downhill for years. First, they cut back over 70 staff a few years ago, including Pat Kennedy, the sports director. Now, evening news is live from Toronto LOL What’s next, Toronto traffic accidents from the Don Valley Parkway ! I don’t blame Wesla for quitting and moving on to Silver Star doing sales. The Kelowna tv station is headed to the dumpster. “She left due to bullying”? “Bullying” is an over-used term these days, when it’s applied to ADULT situations. Bullying is what grade 5 and 6 children do on playgrounds. Adults are not 10/11 years old. I change the channel as soon as Rick Webber shows his face on the news. Hes’ a disaster. At least Wesla and Dwayne were young and had some energy. Rick is a fossil and should be the one gone. WE ENJOYED SEEING WESLA AND DUANE – A GREAT TEAM WHERE ARE THEY???? Mr. Jordan, don’t poo poo bullying in the workplace if you have never experienced it. It’s real and has destroyed a lot of people’s lives. Everyone deserves to be treated with respect in the workplace. I miss seeing Wesla Wong as meteorologist on Global Okanagan CHBC.I was away in ON for a few weeks and when I returned, she and Duane seemed to be gone. I will miss their easy chemistry to make weather reporting fun and interesting, not to mention the advertising and promotions they did in schools and for Silver Star! They did well replacing Mike Roberts and will be a hard act to follow. I wish her and Duane all the best in their new jobs. I was away in Ontario for a few weeks and assumed that Wesla and Duane were off on holidays. I am sorry to learn that Wesla and Duane have left. I will miss seeing them on CHBC Global Okanagan. They were a good team, as meteorologists and in the advertising and promotions they did (interacting with elementary students, Silver Star and the Okanagan calendar to name a few). They were fresh, spoke clearly and had an easy chemistry; good replacements for Mike Roberts. Now they will be a hard act to follow. I wish Wesla and Duane well in their new jobs. I am beyond dissapointed that Wesla and Duane are no longer on c.h. b .c.weather.Enjoyed them both so much.I hope them the best in there new venture.So sad. Just wondering where the union was during all this?? Could the new weather guy do something with his eyebrows ? I can’t stop staring at them, hard to focus on what hes reporting. I miss Wesla & Duane & their energy. Wesla and Duane made watching Global Okanagan a joy. I miss them and their profesionalisme, their sense of humor and ease. A great loss for all of us, the viewers of Global Okanagan TV. I wish them the best of luck on their new endevors. Too bad that Duane and Wesla are gone, typical crap! We want local news!! And AGAIN the multi idiots from nowhere NEAR our community commit another stupid action by allowing wesla and Duane to escape. So sad that fine local talent like these two have been lost to us. Congrats to Star. They scored BIG time. I have recently found out where Duane and Wesla Wong are. Wesla and Duane miss you a lot, glad though you found happiness. Bullying just wrong. I have seen more times than I want to see, where the person bullied is forced to move on whether they are asked to resign, boss finds another excuse to get rid of the ” problem” or things just never get better or corrected and the bullied person moves on. Either way of these it’s wrong. Wesla proud of you to stand up and own yourself by saying I’m not going to take this. Duane glad to see you stand beside your wife and moved on as well . Good luck to both of you because you both deserve the best. People come and go and one persons ending is anothers beginning. Peter Quinlan is doing an excellent job. He’s articulate, professional and appears comfortable in his own skin. I loved the creativity and humor he put into his Halloween broadcast. He even gets the pronunciation of names correct when recognizing aniversaries and such. Keep up the good work Peter. We like you juzt the way you are. Seriously? Replacing Wesla and Duane with Peter Quinlam is a joke! First, he resides in Saskatoon, we can’t get someone a little closer?, the ladies from Vancouver are far more talented and understand the weather here, Peter doesn’t, he is wrong more often than not. Second, I don’t mind one or two pictures, but Peter is showing 6 or more pictures. I frankly don’t want to see pictures of peoples pets, I tune in to see the weather. After he wastes so much time on the photos, he rushes through the rest of the forecast, sometimes making it impossible to see all the forecast temperatures around the area. And lastly, He drives me crazy always looking so obviously at a monitor offscreen. Dwayne and Wesla managed to use the monitor and still look natural, as do the weather people from Vancouver. I really miss Dwayne and Wesla, but would settle for Yvonne or Kasia, both are very talented! I don’t watch the weekday news anymore.